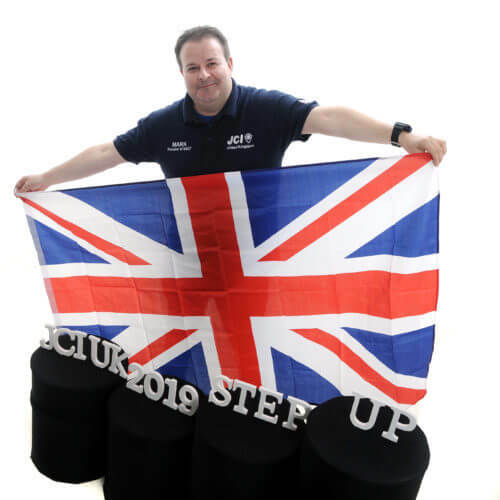 I am delighted to be the JCI UK National President for 2019. This is a special year for the British Senate as we celebrate the 60th anniversary. I’m sure you can fondly remember your time as member of the BJC or JCI for the new experiences, friendships, support, travels, learning and so much more it gave you; many of which will have been life changing. I hope that by working even more closely with the British Senate this year, JCI UK can reach out to more young people who can likewise take advantage of these unique experiences. A strong focus for JCI UK this year is on health and wellbeing in recognition of the many challenges and stresses young people face these days. If we feel good about ourselves we are more likely to feel empowered and confident to create positive change, which is at the heart of what JCI is all about. There’s no doubt that this is easier said than done: it’s so easy to ‘beat yourself up’, be your own worst critic and to doubt your abilities and that can include grappling with mental health challenges. As National President I want to make a difference by encouraging members to push away their self-doubt and to Step Up; which will help our members become the best person they can and want to be. I have heard many Senators say that they are willing to help JCI UK nationally and through the network of local chambers if they are asked, but I believe often that Local Presidents may not know what they need. I would therefore appeal to each and every Senator to think about two or three key actions they could personally do to help JCI UK as a whole, or a local chamber: is there a business you could introduce as a potential partner? Could you offer to give a talk or a training session? Could you sponsor an advert in our newsletter? This year I am asking JCI UK members to Step Up, to push themselves out of their comfort zones and to develop themselves. I really hope I can count on each and every one of you to also Step Up to support JCI UK. Please do drop me a line. For more details, latest news and events from JCI UK, visit the JCI UK Website.